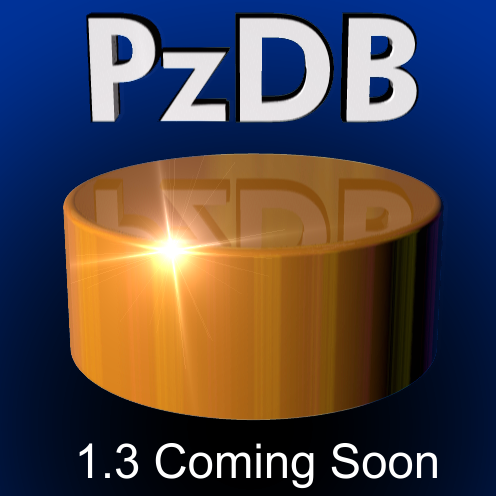 Release Date for PzDB 1.3 to be Announced. and Poser Library Manager there is. Organize Massive Poser Libraries, 3D Content Collections and Muiltimedia Archives without moving or renaming files. Fully Customizable: Organize your files your way, it does all the work! No connections to online data services. Unlike other Content Management Systems, PzDB does not start automatically when Windows starts, it does not require “System Administrator” privileges, it does not run at all times, it will not trigger your antivirus software, it does not scan the entire contents of all of your hard drives and it does not request or report information about your content across the Internet. 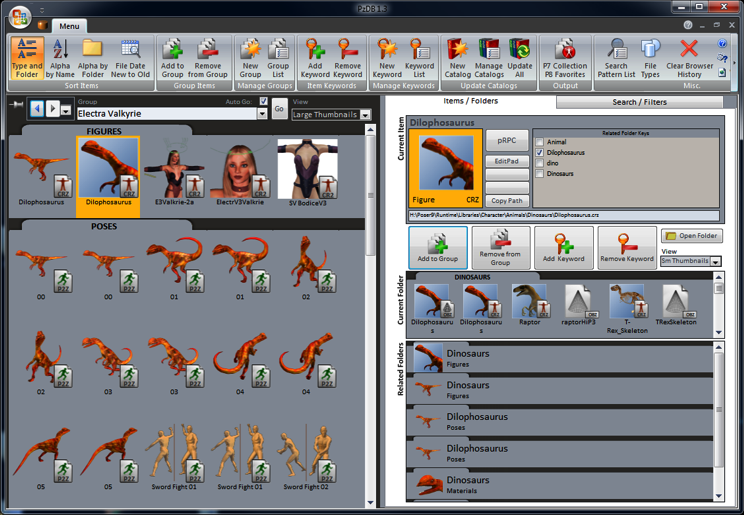 dozens of 3D, 2D and multimedia files types. Buy the PzDB 1.x Upgradeable License and get 1.2 now and 1.3 when it’s released. ALL FIVE-STAR Reviews at Renderosity! I'm so happy with this database! I'm still getting the hang of it but it has made my Poser experience fun and productive again. I highly recommend this product! Wonderful program! This is exactly what I've been needing to organize my content (over 10 gigs) and it works!!! I've already rediscovered content that I had long forgotten about... I just love this program and would highly recommend it to any Poser user! I can't wait to play with all this stuff I forgot about - It's like Christmas all over again! I am incredibly impressed by the new release of PzDB. I can't use DAZ without it anymore. The new function that updates all catalogs is more powerful and efficient that I could have hoped for. The search and sort capabilities are nearly overwhelming. Finding the obscure items I added long ago, and have since nearly forgotten, is a breeze and a pleasure. The new interface is intuitive and flexible and strikingly easy to use. I'm particularly happy that the import from the previous release was painless and straightforward. Thank you for another winner!